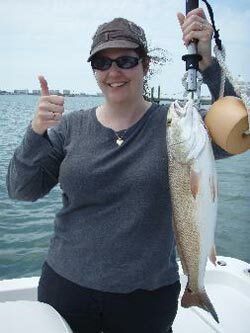 Flats Fishing Charters Clearwater, FL - There's Nothing Flat About Them! We happily specialize in Clearwater flats fishing charters. We are available 7 days a week to accommodate all your flats fishing needs! 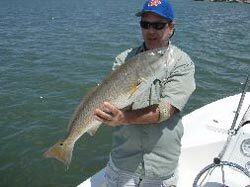 We provide everything you need for parties up to four people to enjoy a relaxing day flats fishing in the Clearwater area. Outside of our proximity to the Clearwater/Largo area, we can fish anywhere you like from St. Petersburg to Dunedin, into Tampa Bay, and everywhere in between! Our Captain is US Coast Guard licensed and insured and has years of experience with Clearwater and St. Petersburg area flats fishing charters. You can count on us to help you nab the catch you have been waiting for while you enjoy time on the water with friends and family. We will also happily clean and filet your catch and your request, and there are several local restaurants that will cook your catch to your specifications for a very reasonably price. 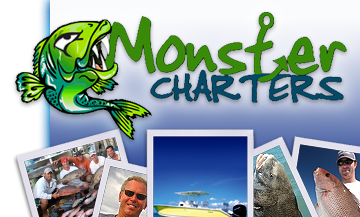 Contact Monster Charters today for more information about our flats fishing charters in the St Petersburg area.